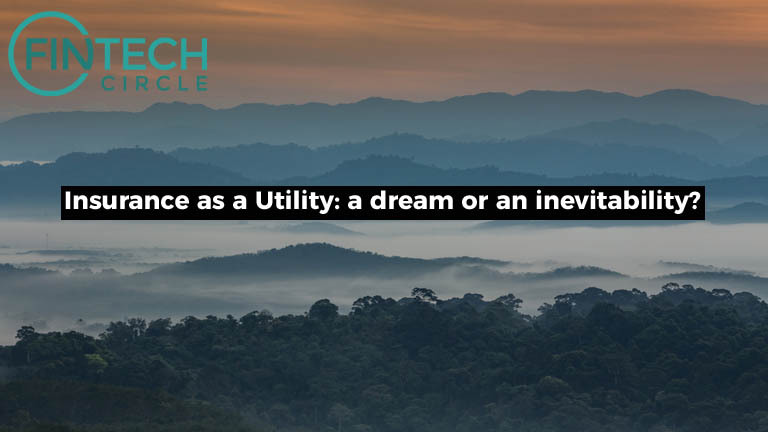 Insurance as a Utility: a dream or an inevitability? Imagine a time when oil lamps dimly lit up streets. If you had a privilege of having one of those contraptions outside your home, you would be forgiven for not feeling overly joyous, majority of the time.It would have been very difficult for oil lamp manufactures to comprehend what society needed was utility of light and not a better oil lamp. Light with all the fundamentally wonderful things that it enabled: joy, safety and productivity. As the result, it wasn’t lamp manufactures that brought about broad revolution of electricity and electrical lighting that most of us take for granted now. What if the story of insurance is not not at all dissimilar to oil lamps? We are now in the age of oil lamps of insurance while electricity is being invented in our backyards. Investment into InsurTech has grown exponentially. Entrepreneurial talent powered by investment is rapidly experimenting across the whole insurance value stack and is starting to chip away at the first set of key insurance industry problems. Hence if we take an analogy of insurance now bring an equivalent of oil lamps, and extrapolate it to help us start imagining what a world of insurance would be in the age of electrical lighting. Its a journey that will take us shorter than expected due to the non-linear nature of progress. Perhaps as early as 2022 we will start to see an emergence of an insurance with an early universal base cover level with an instantaneous on/off coverage for more shot-term risks. Supported by a system of fully automated servicing, risk monitoring, prevention and loss compensation. While the first wave of InsurTech startups is already experimenting to that effect in the market, its yet to be determined, whether it will go down the path of collaboration with incumbents or their ultimate disruption.One thing is becoming clear though,the future of insurance as a utility is an inevitability and it will potentially enable societal change as massive as did electricity.